The latest issue of the Vegan Cookbook is packed with 101 seasonal recipes! 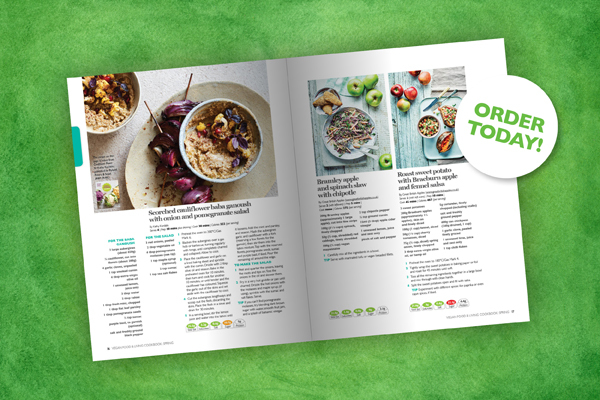 The spring issue of The Vegan Cookbook brings you 101 seasonal, garden-fresh recipes including simple and easy (yet highly delicious) breakfasts, light lunches, spicy weekend dishes, sweet treats, midweek meals and of course a few cakes and puddings if you feel like a dessert fix. All recipes come with nutritional information, so you can decide on and moderate each meal according to your specification. 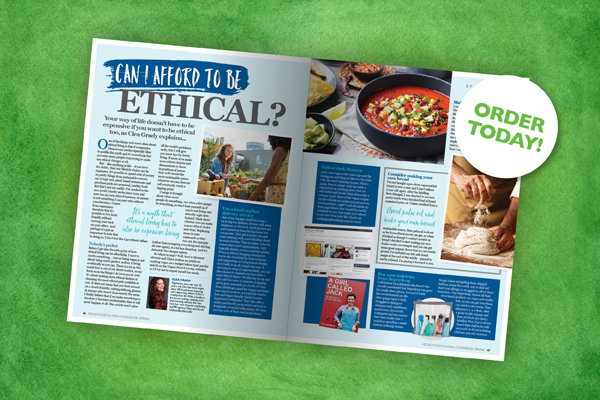 This issue is available to buy in stores at Sainsbury’s, WHSmith, Eason’s and independent retailers.